Who is an excellent leader? A leader is someone who can inspire you, ignite a fire in you and show you a path to success. You must have heard a quote saying that Leaders are born and not made. Is it true? Does this mean that leaders cannot be made? I doubt it. Leadership skills can be learned and with an optimum intellectual level, great leaders can be developed. Of course, there are people who are born with certain leadership traits but it doesn’t mean that others are not capable. What qualities develop an excellent leader? Let’s discuss it here. It all starts with dreams. Dr. APJ Abdul Kalam said that dream is not what you see in sleep; the dream is something which doesn’t let you sleep. When you have dreams in your eyes that make you restless, you are in the right direction. We all have dreams. But, dreams have a value when you pursue them with full dedication. You want to become an actor but you won’t face the audience. You are conscious when people are around you. For being an actor, you have to shed all inhibitions. You have a dream but you don’t have the guts. This will not help you in reaching your destination. A leader has the capability of weaving a dream for you. A leader tells you that nothing is impossible and if you are capable, nothing can stop you. Dream defines your goal. Learning defines your ability to pursue that goal. Learning is an integrated process in our life. Every moment, you learn something new. Chasing your dream requires a considerable effort. You need to gather immense knowledge so that you can refine yourself. Indulge in learning from various sources. The best methods of learning are reading and listening, observing, and learning from experiencing. You will get opportunities to spend time with great leaders. Listen to their speech, read their biographies, about their accomplishments. This will help you in inculcating traits of leadership. Observe their habits and behavior. Great leaders have a peculiar style and an irresistible charm. Learn as much as you can and don’t forget to analyze your thoughts. You started with dreaming, then learning to accomplish your dream; now it’s time for some action. When you don’t apply knowledge in practical aspects, you cannot sense the requirement of the society. When you don’t spend time among masses, you miss connecting the dots. A leader spends most of his time among the masses. 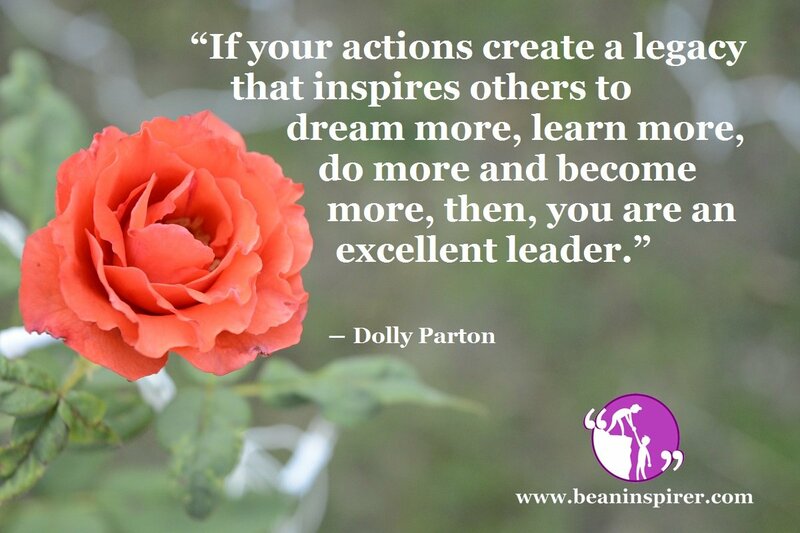 An excellent leader will inspire you to hone your skills for your own benefit and for the benefit of the society. A peculiar characteristic of a leader is striving to search for a solution. There are numerous problems in the society. If you are able to solve them, people will trust you. You have to experience the problems faced by them. When you gain the trust of the masses, you will evolve, your thoughts will evolve. Being an excellent leader, you should have tremendous patience, high intellectual levels and an ability to connect with the masses. According to a survey in 60 countries, a great leader is the one with the following attributes: dynamic, integrity, charisma, foresighted, positive, motivational, inspirational, and visionary and an effective communication skill. Do you have these skills to be a successful leader? If not then it’s time to work on yourself. Identify your weakness and strength. Let me be very frank; it will be extremely tough but let me assure you that it will be truly worth it. Be an inspiration for someone and try to bring a positive change in the society.